Acupuncture can make a significant contribution not only to how you feel during your treatment cycle, but it may also increase the chance of success for couples seeking to have a baby through fertility treatment. Acupuncture helps stimulate the flow of blood to the uterus, thus making the lining of the womb more receptive to the implantation of the embryo. Research is also suggesting that acupuncture is an effective procedure that can assist a woman’s ability to cope during assisted conception treatment. Some studies have also alluded to increased rates for IVF when acupuncture is used on the day of embryo transfer. Women often report improvements in physical and mental wellbeing including waking up feeling refreshed after a good night’s sleep, a great ability to cope with things in general and improvements in general frame of mind and self-confidence. Traditional Chinese Medicine (TCM) and acupuncture may be used alongside cutting edge Western reproductive medicine to increase the chances of conception. The strengths of Western medicine are just those areas in which Chinese medicine is weak, while the weaknesses of Western medicine are also precisely those areas where Chinese medicine has the most to offer. In other words, the two disciplines complement each other exceedingly well. TCM focuses on restoring health and balance to the body and can assist Western medicine to work more effectively. TCM regards the body as an ecosystem and as such addresses the often complex relationships between its different systems. Maintaining and restoring the “balance” within the body, is at the heart of diagnosis and treatment in TCM. How Do Acupuncture/TCM Apply to Fertility? In TCM fertility/conception problems result from imbalances within the network of organs, hormones and energy systems of a woman’s body. This network responds to stress, chemicals, lack of exercise, poor diet, excess emotions, all of which can put the body off balance. These imbalances prevent the body from doing what it was designed to do. A TCM practitioner looks at every aspect of a woman’s health (by taking a comprehensive case history), to assess which organs are imbalanced. They will utilize a program of acupuncture, herbs, exercises, dietary and lifestyle changes, to restore equilibrium to her body. The most important distinction TCM practitioners can make is to identify the underlying pattern of dysfunction. Once this is established and treated, the outward manifestation of symptoms usually disappears. In Eastern medicine there is no separation of mind, body, emotions and spirit and TCM therapy is based upon administering to them all. Acupuncture and Traditional Chinese medicine have been used for fertility issues for thousands of years. Now, with new research performed in the west showing acupuncture’s effectiveness, its use is becoming an important aspect in fertility both alone and alongside IVF treatments. Acupuncture can increase blood flow to the uterus and has a regulating effect on the hormonal systems via its ability to regulate the hypothalamic-pituitary-ovarian-axis, an essential aspect in the development of conception and healthy pregnancy. As you may well know, from a Traditional point of view, acupuncture aims at regulating the two interdependent forces of Yin and Yang. Here you can see how this applies to the menstrual cycle. Each must be in balance for the next process to occur effectively. You may notice that as these processes return to balance, your overall well-being may be greatly enhanced. What Can I Have Treatment For? As seen, acupuncture and TCM can assist in the treatment of many Gynecological and Obstetric problems including the following: Menstrual cycle difficulties/irregularities, pain, PMT, PCOS, Endometriosis, Ovulation problems. Low sperm counts and of course infertility. Most infertility issues can be resolved within 3-4 menstrual cycles or around 3 months for males. More complex and long standing conditions may take up to 6 months of treatment. Lifestyle changes will usually lessen the treatment period. Treatments will usually be more frequent for 1-2 months and then both the amount of acupuncture and herbs required can be consistently reduced as the patient’s condition improves. Acupuncture may be required once per week for the first 1-2 months of treatment and can then normally be reduced in frequency. In some instances using herbs alone some conditions can be treated but this depends on the diagnosis and patient condition. Is There A Suggested Acupuncture Regime With IVF? Before You Begin An IVF Cycle. Acupuncture prior to beginning a cycle of IVF is thought to help your body prepare for the fertility treatment you have chosen, including the regulation of your menstrual cycle, plus aiding in ovulation regulation. It is also thought that acupuncture may also improve the lining of your uterus, improve your response to medications and improve your ability to cope with the hormonal changes. Throughout Your Stimulation Phase. Acupuncture during IVF treatments may reduce some of the side effects that you may experience as a result of the different medications you have been prescribed, and decrease your anxiety levels throughout this stressful time. Acupuncture After The Collection Of Your Eggs. It has been recommended that patients undergoing IVF receive a treatment of acupuncture after the egg the collection procedure to help reduce any tissue damage or bleeding from the procedure whilst also assisted you cope with the stress that is often experienced during this time of your treatment. The Day Your Embryos Get Transferred. So far, researchers have been able to show that receiving a treatment of acupuncture just before and just after the transfer of your embryos can boost the rates at which IVF patients conceive. Seven Days After Your Embryos Get Transferred. Getting an acupuncture treatment immediately following your embryo transfer may promote increased odds of embryo implantation whilst also helping support the growth of the embryo. If you receive a positive pregnancy result, it is often suggested that acupuncture continue during the first 3 months of your pregnancy. 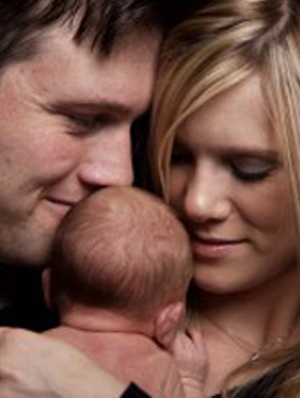 We work with skilled acupuncture therapists in order to assist with your fertility treatment. Please contact us to learn more about acupuncture for fertility and to decide if it is the right choice for you!